Foraging for food is nothing new but urban foraging is becoming a rising star. No, it is not dumpster diving but rather finding all sorts of edible plants growing in the urban scene. 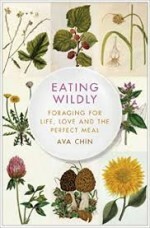 As a native of Queens author Ava Chin is an expert on urban foraging and in her book, Eating Wildly, she takes the readers on a virtual trip through the streets, backyards, and parks of New York City as she looks for edible plants. But the trip is more than just an informative guide to urban edibles, it is also a personal journey of discovery as Chin examines the relationships in her life and relates them to the food that she finds. You will never look at weeds the same way after reading Chin’s book. We learn lambs-quarters is more spinachy than spinach, that wild daylilies grow by the hundreds in Central Park, and that morels can be found within the confines of New York City. We learn how Chin hosted a Spring Foraging Tasting Brunch that included daylilies, field garlic, garlic mustard, dandelion, plantain, and mugwort, and can duplicate the wild greens pie she served because the recipe is included. The whole time we read about foraging we also become involved in the story of Chin’s grandparents and their influence on her love of food as well as her successful search for the Right Man, after numerous failures. A charming story and inspiration to appreciate all the wonderful plants that are around you even in the urban landscape. 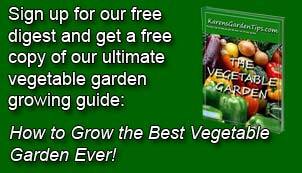 To buy Eating Wildly from Amazon.com Click Here.